On December 30, 2018, the amendments under the Comprehensive and Progressive Agreement for Trans-Pacific Partnership Amendment Act 2018 came into effect in New Zealand. One of the most notable changes in the country’s patent legislation is the introduction of a one-year novelty grace period. Accordingly, a disclosure of the invention by the inventor, the applicant or any other authorised person on or after December 30, 2018, will not affect the novelty of such an invention provided that an application is filed within 12 months from the disclosure. The new legislation also requires corresponding evidence of such disclosure to be submitted to the Intellectual Property Office of New Zealand (IPONZ) either before the examination starts or in response to an Office Action requesting this evidence. Trademark legislation amendments concern trademark infringement cases primarily. 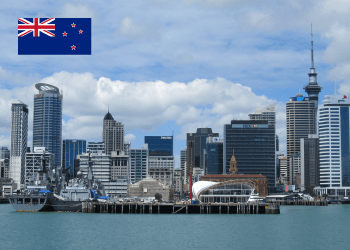 From henceforth, New Zealand courts are authorised to award additional damages as well as already levied compensatory damages. They may also order a destruction requirement of the counterfeit goods instead of just removing a trademark from them. Furthermore, the Intellectual Property Office of New Zealand (IPONZ) has recently suggested introducing an increase to specific patent fees and discounts on certain trademark fees. The proposed amendments are currently awaiting the approval of the Cabinet and are expected to be formalised by the middle of 2019. The Comprehensive and Progressive Agreement for Trans-Pacific Partnership (CPTPP) is a free-trade agreement, signed in 2018 by 11 Asia-Pacific countries, including New Zealand. In addition to the IP related provisions, the Agreement regulates many other legal issues and is aimed at facilitating and promoting businesses in the participating countries.